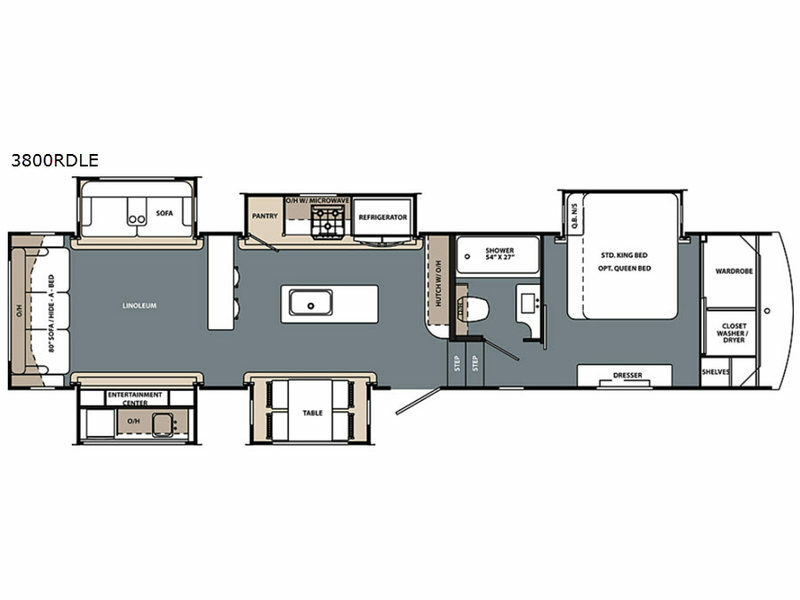 Looking for the ultimate fifth wheel that will allow you separate rooms to relax and make meals? Just imagine a rear living area with a hide-a-bed sofa and a smaller sofa, plus an entertainment center. Now imagine a separate kitchen area with a free standing dinette and chairs, a kitchen island, a breakfast bar type area and all the appliances necessary to make meals as a full-timer or weekend warrior. 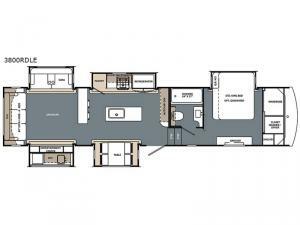 Of course you will love the fireplace, the large pantry, and the bedroom layout with a space to add a washer and dryer if you choose that option. You might even like to cook a few meals on the outside kitchen. Take one look, you will see the possibilities are limitless!